Scheduling to sit for the CPA exam requires coordinating with multiple organizations and some minimal advanced planning. 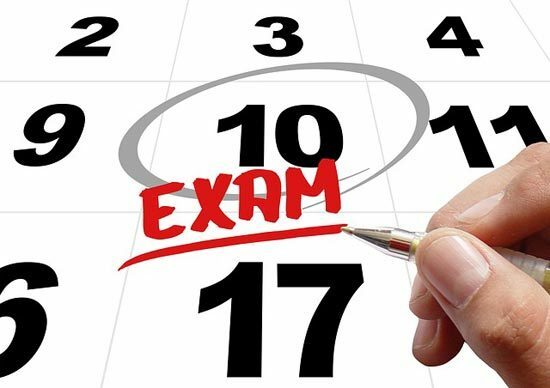 If you’re not prepared in advance you may not be able to take the exam at your preferred test center or get stuck paying fees for an exam that you can’t make. This article walks you through the important information you need to know regarding the CPA exam testing windows and blackout months. New CPA Exam Ebook with Audio Answer Explanations. What Can I Bring to the CPA Exam? 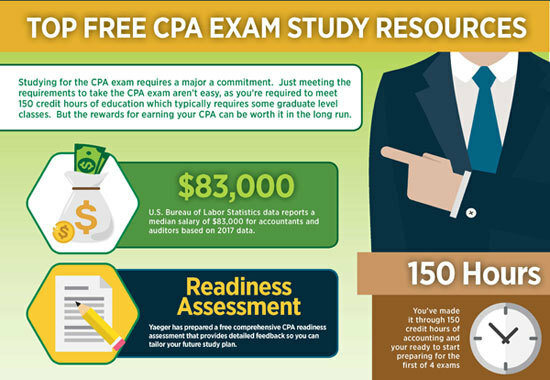 The CPA exam is composed of 4 individual sections. You have a total of 18 months to pass all 4 sections of the exam. When you are ready to sit for the exam, you must first submit an application to your State Board of Accountancy. The initial application to your State Board typically requires you to meet specific education and fee requirements. These requirements vary depending on the state, so be sure to confirm the requirements in your state. After the State Board of Accountancy accepts your application, it will notify the National Association of State Boards of Accountancy (NASBA). The NASBA will then send you a formal Notice to Schedule (NTS). Your NTS will include a list of the sections of the CPA exam that you are approved to take. It will then be up to you to directly contact a Prometric testing center to schedule your exam. Be sure to closely review your NTS. If your registered name does not match your drivers license or other acceptable identification, you won’t be allowed to enter the testing center. If you catch any errors early, you can contact your State Board of Accountancy to fix it. You can also contact the NASBA through their web site to request a correction. Technically you will be allowed to enter the testing area if there is a mild inconsistency with your middle name. Typical errors might be that your drivers license spells out your middle name in full, but your NTS form lists a single initial for your middle name. I would not recommend you leave that inconsistency though, you never know if your testing center is extra conservative with their identification verification requirements. Each individual State Board of Accountancy determines how long your Notice to Schedule is valid. In most jurisdictions, your Notice to Schedule provides you with a 6 month period. However, it is still important to confirm, because some states allow less time and a few provide more than 6 months. Texas has the least amount of time with only a 90 day NTS period. North Dakota, South Dakota, and West Virginia provide the longest NTS period with a 12 month window. If your NTS expires before you sit for the exam, you have to re-apply with a new application and pay the same application fees again. Keep in mind that you can take multiple sections of the CPA exam within the same Notice to Schedule period, however you can not take the same section twice during a single Notice to Schedule period. So if you fail a section of the exam, you can not re-take that same section until your Notice to Schedule expires. This is why it is very important to not sit for a section of the CPA exam until you are fully prepared for that section. You can see our CPA exam study plan to help you map out your personal strategy. Candidates are allowed to schedule a test date with a Prometric testing center during the beginning of each calendar quarter period. So for example, in the first quarter of 2019, you would be able to schedule a test date anytime between January 1, 2019 through March 10, 2019. Sharpen your skills with an extra CPA Test Bank. Because of limitations in available seating, your better off scheduling your test date early. Many people recommend scheduling at least 45 days in advance of your preferred date and test center location. During each testing window you can take as many or as few sections of the CPA exam that you have been approved for. Your primary restriction is that you can not take the same section of the exam twice within a single NTS period. The blackout periods are used to make updates to the computer system and enhance the testing process. Its very important to schedule your test dates early because you run the risk of losing your seat in the last minute rush to schedule prior to the blackout period. Plan to arrive at your designated test center at least 30 minutes early. This will provide you with enough time to store your items in a locker and undergo the identification process. You will need to bring your Notice to Schedule and your personal identification. The testing center will compare your personal identification with your NTS form in order to validate your identity. Acceptable forms of identification include a valid drivers license, passport, state identification card, or military identification card. When you sit for the CPA exam, you are not allowed to have any paper, books, food, drinks, mobile phones, or any other electronic devices with you. The testing center will provide you with a security locker where you can store personal items, but these lockers are small so try to limit the number of items you bring inside the bare minimum. The only acceptable item to bring with you into the exam is ear plugs. In the past, scratch paper and pencils were provided by the test center to use during the exam. Unfortunately, the paper and pencils have been replaced with a laminated noteboard and fine point marker. The noteboards are double-sided and you can request extra noteboards if you run out of space. You also have access to a limited version of excel within the computer system. The program is essentially a bare bones version of Excel with limited functionality. The spreadsheet program is useful for double checking your calculations. All test takers have two types of allowable breaks. The first break is a 15 minute break after you complete the first task based simulation testlet. You should expect this break at the half way point during your 4 hour exam. This break Does Not count against your total test time. There is a second type of break available to all test takers. After you complete any testlet, you will be given the option of taking an additional 10 minute break. This break Does count against your total test time, so use these breaks cautiously. Keep in mind that if you exceed the 10 minute break time, it will be reported to the State Board. The American Institute of CPAs (AICPA) is responsible for grading the CPA exams. When grading is completed, the AICPA will forward the scores to the NASBA for distribution to State Boards of Accountancy. The NASBA is responsible for matching individual exams with specific candidates. Personal identities are withheld from the AICPA throughout the grading process. Your specific State Board will release your exam score based on a set schedule. Keep in mind that the release schedule is a target and individual State Boards may release scores at a faster or slower rate than what is specified in the general guidance. The Q3 and Q4 2019 score release dates will be updated when they are posted by the AICPA. However you can expect that the dates will follow the same rolling day pattern.